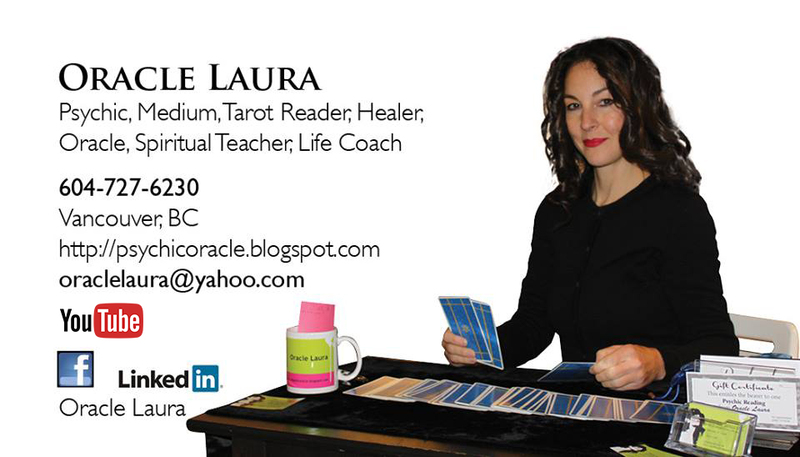 I give Psychic Readings and Tarot Card Readings full-time daily in downtown Vancouver, BC, Canada, and I am also available for in home visits if you prefer. To read comments from my clients click on "Comments". To see my rates click on "Psychic Readings" for more information. For workshop information click on "Workshops". LONG DISTANCE? I only answer local calls unless you have already scheduled a phone reading with me, so please EMAIL me first to schedule your Psychic Reading. Thank you!